With lots of organized beaches, especially on the southern side, there are many watersports in Skiathos island. 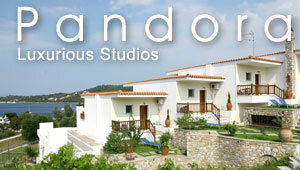 These Skiathos watersports centers offer many fun games for an enjoyable day at the beach. Get some adrenaline during your holidays with games like jet ski, bananas, turbo rides, canoe kayak and more. These Skiathos watersports are found in popular beaches, such as Koukounaries, Vassilias, Megali Ammos and Vromolimnos. Here are some watersports in Skiathos. Each watersports center is presented with detailed text, photos and point on Google map. If you have visited any of these centers, feel free to write your review. All request forms go directly to the manager of the center, so that you can make a reservation in person or ask them any question. Stefanos is qualified by the British and Greek water-ski federation. He spent six winters in GB skiing in different ski schools. They guarantee you to learn how to water-ski on your first lesson!!! All you need to do is to consecrate on what stefanos says to you.